Lone Star Junction is an on-line resource provided about early Texas and Texans. On our pages you will find photographs of the Texas landscape, popular songs of Texas and the West, a searchable database of over 10,000 "Texians" that lived during the time of the Republic of Texas, full-text on-line editions of rare and classic books about Texas, and much more. We hope you enjoy your visit. Your Publisher. Your Publisher and Editor, Lyman Hardeman, grew up in Bryan and College Station where he attended public schools. He graduated from Texas A&M University in 1966 with a degree in Electrical Engineering. After working for several years at Texas Instruments in Dallas, he relocated to New York City (that's north of the Red River, somewhere in Yankeeland!!). He lived in New York for over four years, most of that time serving as a technical journalist with McGraw-Hill, Inc. From there, he spent some 30 years in Northern Virginia as a systems integrations consultant. While away from his Texas homeland, Hardeman acquired a deep interest in the events of early Texas. He is a life member of the Texas State Historical Association. He now lives in Austin, Texas and can be reached at editor@oldcardboard.com. Book Review Editor. We are delighted that Austin-based writer and syndicated columnist Mike Cox will be publishing on-line versions of his twice monthly Texana Book Reviews on the pages of Lone Star Junction. His articles fit perfectly the theme of this website, and will be updated following a short delay after their publication in several key Texas newspapers. As Chief of Media Relations for the Texas Department of Public Safety (the parent organization for the Texas Rangers), Cox has been the agency's principal spokesman during several nationally and internationally followed law enforcement crisis. He is President of the National Association of Government Communicators and a past member of the board of the Friends of the O. Henry Museum in Austin. 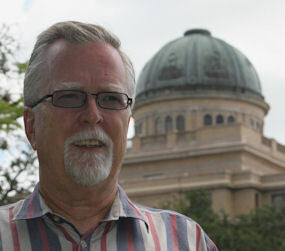 A nationally-published free-lance writer, Cox is the author of nine books. In March 1993, he was elected a member of the Texas Institute of Letters along with other noted Texas writers including James Michener and Bill Moyers. Cox can be reached at mlcox1@flash.net. The input of other contributors is indicated on the individual web pages. When available, links to the contributor's web home page or internet email address is also provided. Again, thanks to all. . Invitation to volunteers. The potential for the service provided by this website is limited only by the time of its contributors. We have far more ideas and plans for expanding the service than we have resources to implement the plans. If you have access to the internet and would like to participate in this exciting and rewarding project, please refer to our Volunteer Program to be announced on these pages soon. Your assistance can be provided in the comfort of your home, and will be greatly appreciated. Pointers to Our Pages. We invite URL pointers to link to our pages, and encourage you to tell others about us. Due to several requests, we have provided the image (above right) for those desiring to link to Lone Star Junction via an image icon. Feel free to download the icon and use it in your links as desired. If you register your link with Lone Star Junction, we will attempt to notify you of any changes in the filenames of our pages affecting the links that you register. To register, just E-mail the following: your e-mail address; the URL of your home page; and the filename(s) of the page(s) to which you are pointing. The URL of our homepage (i.e., http://www.lsjunction.com/) will not change.